Lots of online marketers are into domain selling business, but very few make decent earnings out of it. It's a very lucrative business if done correctly. The entire process of selling domain names involves several steps which are mastered with the passage of time. If you're starting domain selling a business from scratch, make sure you're ready for some initial failures as you may not get the results as expected. Today, we're going to discuss effective and easy ways to nurture our domain selling business that gives us consistent returns without any major glitches. These techniques are easy to implement but require careful planning. Once you've mastered the basics, you can make a huge income by selling domain names. Without wasting any more time, let's explore these ways to excel in our domain selling efforts. Enthusiastic newbies often make a mistake of registering too many domains without testing their ability to sell successfully. This leads to blockage of money resulting in an inability to grab premium domains. 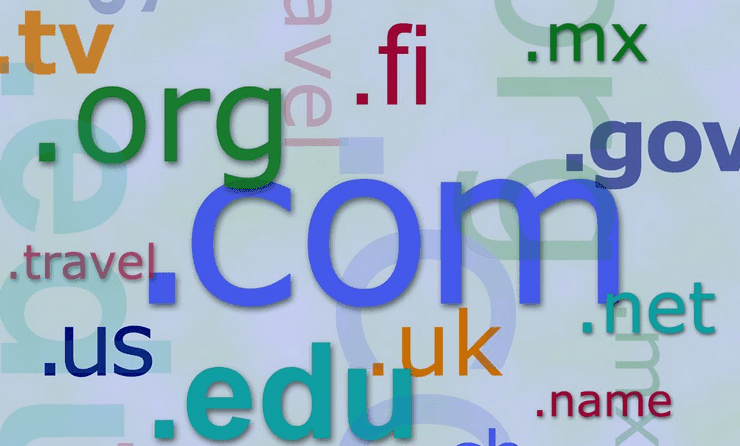 Start small and register maximum up to 10 domains. Anything more than 10 domains is not needed until you’re not well aware of all the pitfalls and problems that may arise while negotiating a decent price for a domain name. The best method to buy domain names is keeping the maximum limit for a one-time purchase and going ahead with it when previous slot's 75% domains are sold. This way you can recycle the money invested in the previous slot after excluding your profits. While negotiating a price for a domain, newbies often struggle to come up with a valid and concrete reason to justify their listed price. That's where Google Adwords Keyword Tool comes handy. While registering domain names, you must use this tool to know the global or regional monthly searches on Google for a key-phrase within the domain to know the volume of traffic it can attract once the owner optimizes his website for that keyword. This entire exercise of finding profitable key-phrases is the crux of building a profitable domain-selling business. It's fairly easy to convince a potential buyer while negotiating a reasonable price for a domain containing a hugely profitable key-phrase. Spend some time learning this tool and experiment with it so that you can master it to grab search optimized domains. If the domain you're planning to purchase is targeted towards the audience located at the specific location on the globe, you must select that location within the keywords tool to get the accurate monthly search volume. This also helps you in calculating a fairly reasonable rate for the domain name. New domain sellers often do two big mistakes while listing their domains for sale. The first one is avoiding open bids that completely close the door for any kind of negotiation. Open bid simply implies that the seller is available for negotiating the listed price. You must keep your listings open so that you can pull more potential buyers increasing the chances of getting a good price. The second mistake is giving a large time frame (1 or 2 months) for each listed domain. This contributes in repelling several potential buyers as they hope that the seller will cancel and will again list the domain with a lower price in case he is unable to grab a deal for such a long time. If you're keeping all your listings open and that too for short time frame (e.g. 5 to 7 days), you're not only inviting people to negotiate a reasonable price but are also telling them that they have very less time to grab the listed domain. This triggers more leads and significantly increases your chances to clinch a highly profitable deal. One of the qualities that every successful domain seller possesses is exceptional negotiation skills. Now, this comes with experience and you need not panic if you fail in your initial attempts. Simply follow these simple tips to get started. Be polite - This is the first thing you need to know while going ahead with any kind of negotiation. You should not give even a hint of pride or arrogance in your tone while communicating with the potential buyers. Value time frame - You cannot remain active 24 hours a day, but you can certainly make yourself available at the peak times of weekdays. Sometimes deals are canceled because the seller simply doesn't respond in time. Keep your stats ready - You may face countless technical and non-technical queries from potential buyers and must prepare yourself beforehand to provide answers to these queries. Newbies may struggle in this, but gradually you'll have a databank of common questions asked by the prospects. Prepare templates for generic paragraphs - Domain selling negotiations are generally done through email or IM conversations. You must keep all the generic data applicable for each domain ready beforehand so that you can speed up the conversation. This helps in finalizing the deal much quicker than a buyer may expect. Call buyer with his name - Do not make the mistake of addressing your customer with words like 'Sir' or 'Buddy'. Use their first name in the conversations to give it a personal touch. This also signifies that you respect and value your clients and are keen to converse with them. Be flexible - Genuine buyers can be easily identified as you get more experience. If you see that a buyer is genuine and is seriously coming up for finalizing the deal, you must show enough flexibility to make way for a successful business transaction. Flexibility from the buyer's end doesn't mean that you should be rigid. End with a good note even if the negotiation fails - More than often you may find yourself in a situation where despite long negotiation session the deal is not finalized. In such cases, inexperienced sellers lose their cool and end with bitter or arrogant language. Remember, closing an unsuccessful negotiation session with a pleasant note ensures that that seller may again show interest in your future listings. One of the reasons some domain sellers succeed is their good presence on almost every good domain selling marketplace. Before you sign up for any such marketplace, you must read the terms and conditions to avoid any dispute at a later stage. Here's a list of some popular domain listing marketplaces that are used by thousands and thousands of marketers. While selecting a marketplace, you must look for their commission structure, types of bidding options supported, availability of secure payment system and the limits or thresholds, if any. Instead of trying to list your domain on a large number of marketplaces, choose 6 to 10 very best and concentrate on building your goodwill on these websites.